JACKSON 6 wins from 1400m to 2000m, R2,366,255, Greyville Daily News 2000 S., Gr.1, Champions Cup, Gr.1, Kenilworth Cape Derby, Gr.1, Politician S., L, 2d Kenilworth Queen’s P., Gr.1-twice, Greyville KRA Guineas, Gr.2, Kenilworth Green Point S., Gr.2, Diadem S., Gr.2, 3d Kenilworth Buy One Meal Get One Free S., 4th Clairwood Mercury Sprint, Gr.1. He entered stud in South Af in 2014. Sire of 27 progeny to race, 5 winners (18.0%), earnings of over $58,000, 2 stakes placegetters, inc.
Mr Crumford (15c, Captain Al, Model Man). 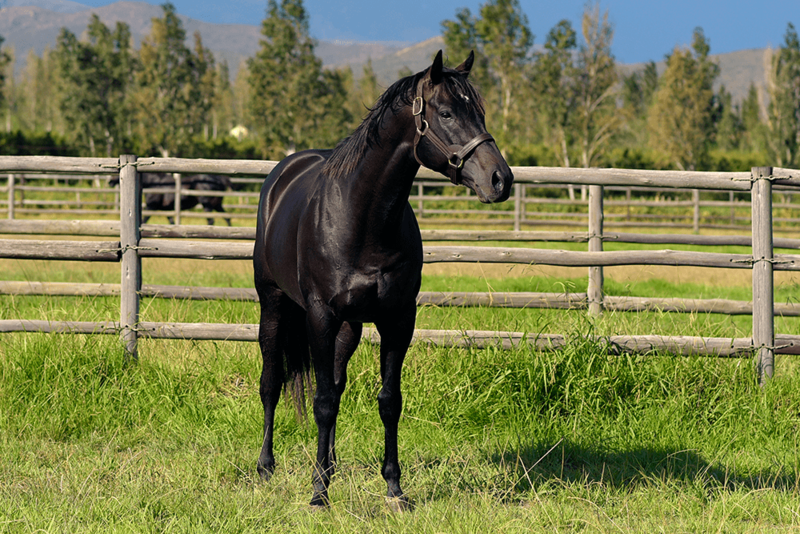 Winner at 2 in 2017-18, 3d Kenilworth Cape of Good Hope Nursery, Gr.3. Can You Feel It (15f, Windrush, Royal Prerogative). 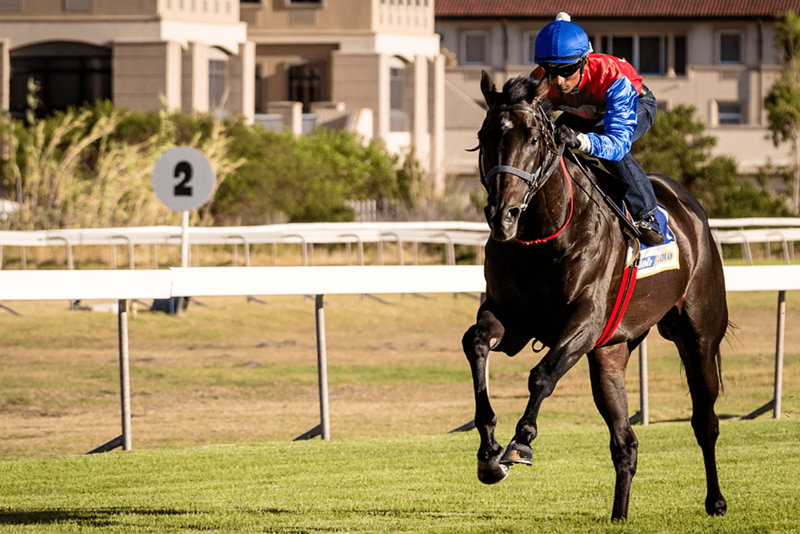 Placed at 2 in 2017-18, R156,000, 3d Greyville Thekwini S., Gr.1, Golden Slipper, Gr.2. Beat It (15f, Right Approach, Kentucky Slew). Winner at 2 in 2017-18, 2d Scottsville J Leslie Smith and Company Inc. Juvenile P.
Bountiful Strength (15c, Forest Wildcat, Pilgrim). Winner at 2 in 2017-18. Bonaire (15c, Tiger Ridge, Kentucky Slew). Winner at 2 in 2017-18. Action Jackson (15c, Jet Master, Fasliyev). Winner at 2 in 2017-18. Dynamite Jack (15c, Beautiful Crown, Silver Hawk). Placed at 2 & 3 to 2018-19. Rumbleinthejungle (15c, Lake Coniston, West Man). Placed at 2 in 2017-18. Lady Jackson (15f, Goldkeeper, Complete Warrior). Placed at 2 in 2017-18. My Boy Jack (15c, Lizard Island, Northfields). Placed at 2 in 2017-18. Larry Jack (15c, Silvano, Rainbow Quest). Placed at 2 in 2017-18. Dancing Moonlight (15c, Dixieland Band, Crafty Prospector). Placed at 3 in 2018-19. Water Spirit (15f, Western Winter, Al Mufti). Placed at 3 in 2018-19. 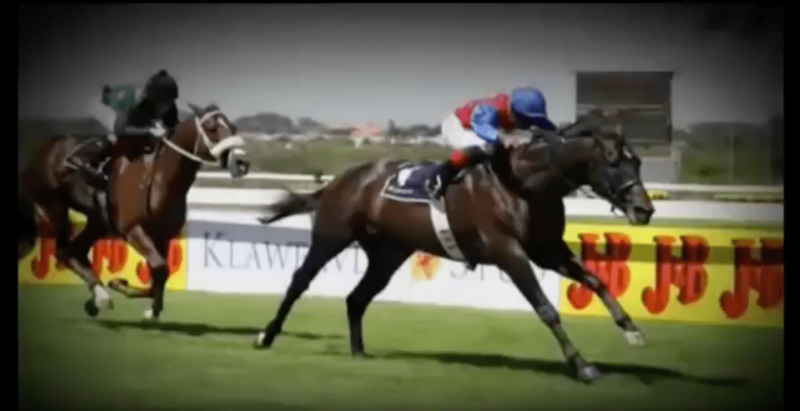 DYNASTY Horse of the Year & Champion 3YO Classic Male in South Africa in 2002-03. 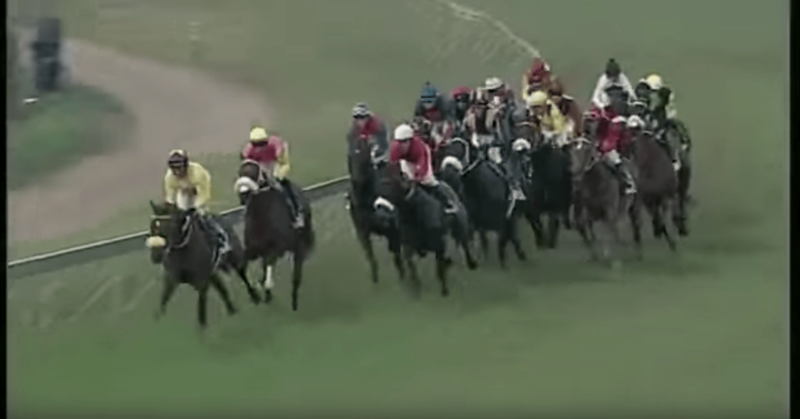 9 wins-1 at 2-from 1600m to 2200m, R2,125,000, Greyville Durban July H., Gr.1, South African Guineas, Gr.1, Daily News Two Thousand S., Gr.1, Kenilworth Cape of Good Hope Derby, Gr.1, Green Point S., Gr.2-twice, Selangor Cup, Gr.2, 2d Kenilworth Cape Argus Guineas, Gr.1, Greyville Golden Horseshoe S., Gr.2, 3d Kenilworth Queen’s P., Gr.1. He entered stud in South Af in 2005. Sire of 510 progeny to race, 351 winners (68.0%), earnings of over $12 million, 60 stakes winners, 35 stakes placegetters, inc.
LIEGE (12c, Jallad, Royal Prerogative). 6 wins from 1600m to 2000m to 2017-18, R1,955,000, Turffontein Summer Cup, Gr.1, Jubilee H., Gr.3, Care for Education P., Vaal Book a Table H., 2d Turffontein Victory Moon S., Gr.2, Graham Beck S., Gr.3, 3d Kenilworth Politician S., Gr.3, 4th Turffontein Summer Cup, Gr.1. DYNAMIC (09g, Theatrical, Lord at War). 5 wins from 1600m to 1800m, R844,610, Kenilworth Premier Trophy, Gr.2, Scottsville Sledgehammer H., L, Durbanville Racing Its a Rush P., Kenilworth Racing It’s a Rush P., 2d Kenilworth Cape Derby, Gr.1, Greyville Cup Trial, Gr.3, Fairview Racing It’s a Rush S., Scottsville Racing It’s a Rush S., 3d Greyville Betting World 1900, Gr.2, Tabgold H., Gr.3, Cup Trial, Gr.3, Turffontein Edgeline S., 4th Greyville Betting World 1900, Gr.2. AFRICAN NIGHT SKY (13c, Cozzene, Kingmambo). 6 wins from 1200m to 2400m to 2017-18, R948,400, Greyville Cup Trial, Gr.3, Kenilworth Winter Guineas, Gr.3, Winter Classic, Gr.3, Winter Derby, Gr.3, 2d Greyville Solid Speed S.
HEARTLAND (11g, Cozzene, Gone West). 5 wins from 1200m to 1600m, R527,521, Greyville Byerley Turk P., Gr.3, Kenilworth Jet Master S., L, Racing It’s a Rush H., Scottsville Daniels Flooring P., 2d Durbanville Matchem S., Gr.3, Kenilworth Racing Its a Rush S., 3d Kenilworth Cape Classic, Gr.3, Carl Greaves Brokers S., Itsarush.co.za H., 4th Durbanville Matchem S., Gr.3. IT IS WRITTEN (10c, Northfields, Sir Tristram). 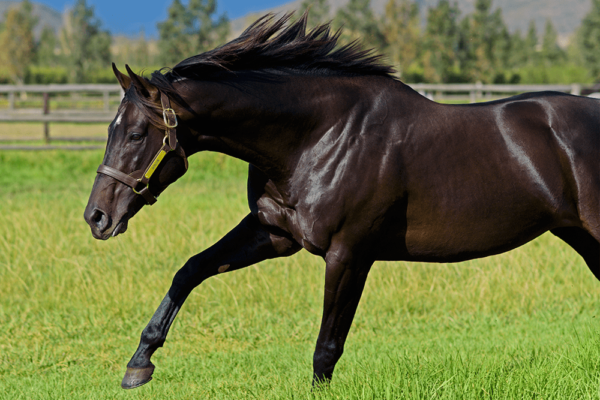 8 wins from 1400m to 1800m, R775,275, Greyville Christmas H., Gr.3, Kwazulu-Natal Breeders 1600 H., Kenilworth Quartet Boxed 4 Countries to Reach Semi Finals H., Book Your Table in the Somerset Room H., Scottsville Great Rumpus S., Itsarush.co.za H., 2d Scottsville Sledgehammer H., L, Fairview Friendly City S., Greyville Fort Stud Kwazulu-Natal Breeders H., 3d Fairview Play Soccer 6 10 & 13 S., Tellytrack.com H., Kenilworth Equine Online S., Joburg’s Prawn Festival H.
MADE TO CONQUER (13c, Casey Tibbs, Al Mufti). 6 wins from 1600m to 2500m in 2017-18, R1,306,672, Greyville Lonsdale Stirrup Cup, Gr.3, Scottsville Racing It’s a Rush H., 2d Greyville Durban July, Gr.1. OUR EMPEROR (13c, Jet Master, Elliodor). 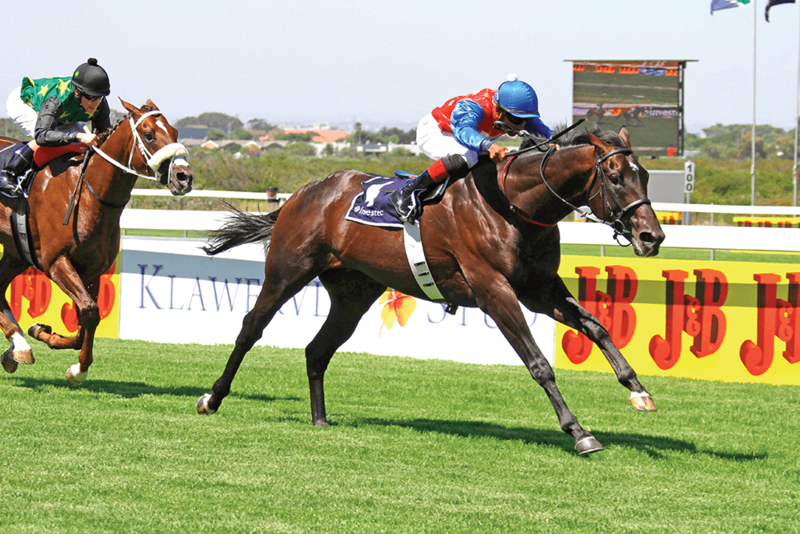 4 wins from 1800m to 3200m to 2017-18, R395,614, Kenilworth Chairman’s Cup, Gr.3, Snaith Racing H., 2d Durbanville Settlers Trophy, L, 3d Kenilworth Cape Summer Stayers H., Gr.3. COZZENE Champion Turf Horse in USA in 1985. 10 wins, US$978,152, Breeders’ Cup Mile S., Gr.1, Monmouth Longfellow H., Gr.2, Oceanport H., Gr.3, Meadowlands Cliff Hanger H., L, 2d Atlantic City United Nations H., Gr.1, Saratoga Bernard Baruch H., Gr.2, Meadowlands Palisades H., L, 3d Breeders’ Cup Mile S., Gr.1, Belmont Man o’ War S., Gr.1, Saratoga Bernard Baruch H., Gr.2, Belmont Wise Ship S., L, Jaipur S., L. Champion Japan Sire (AEI) in 2002. Second on USA Sire List in 1996. Sire of winners of over $119 million – 84 stakes winners, inc. ALPHABET SOUP, TIKKANEN, MIZZEN MAST, STAR OF COZZENE, STAR OVER THE BAY, ENVIRONMENT FRIEND, ZOFTIG, GAVIOLA, RUSH BAY, REAL COZZY, etc. 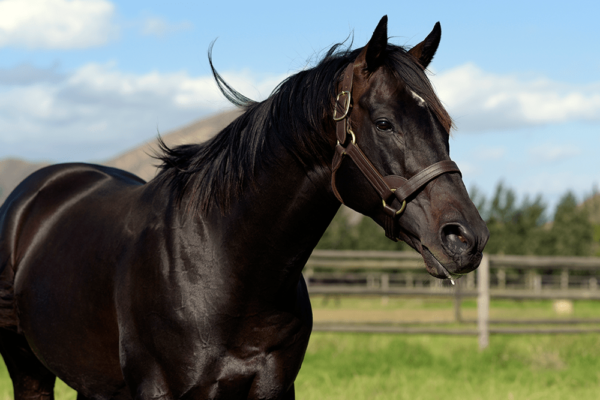 Maternal sire of winners of over $157 million – 99 stakes winners, inc. TANGERINE TREES, MACH GLORY, PIVOTAL, ISLA BONITA, TOCCET, ZAFTIG, DISTANT WAY, RIVER’S PRAYER, JACKSON, ZO IMPRESSIVE. It was a decade or so ago that Graham Beck embarked on a mission to re-stock his broodmare band at Highlands. He did this by purchasing yearling fillies at auction, on both sides of the Atlantic. The idea was to race them in South Africa before taking them to stud. The fillies were mostly bought relatively cheaply by international standards, many from strong female lines which appeared to have lost their vigour. There were some amazing pay-off’s, including Champion racemare Dancer’s Daughter (52k gns yearling) and multiple Gr1 winner Overarching ($70k yearling). 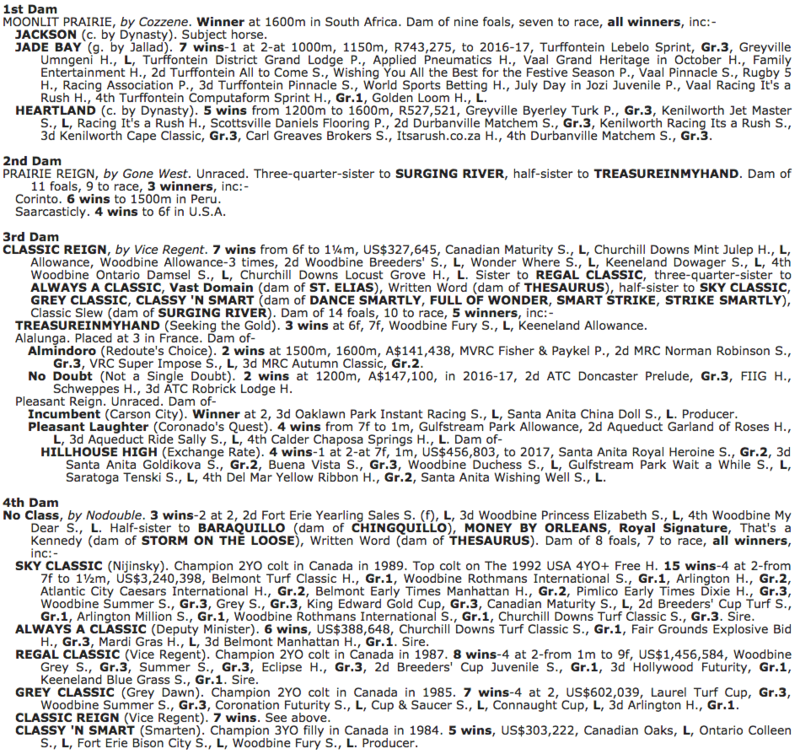 The 2002 Keeneland September yearling sale netted 22 fillies, of which 18 won races in South Africa. They included one-time winner Moonlit Prairie, an $85k purchase (anecdotally, Beck bought the onetime winning dam of Soft Falling Rain for $250k at the same venue a year later). Moonlit Prairie was the second foal of her unraced dam Prairie Reign, one of a string of fairly undistinguished siblings. But the next dam Classic Reign was a multiple stakes winner. She also was half sister to Canadian champion filly Classy ‘n Smart, dam of champion sire Smart Strike (who at the time Moonlit Prairie’s purchase was a 5yo, with the big things still to come). Classy ‘n Smart had three champion brothers (Grey Classic, Sky Classic and Regal Classic), giving a background brimming with talent. Moonlit Prairie’s first foal was Jackson, sired from the third crop of Horse of the Year Dynasty. Jackson was offered as a yearling in August, right when his sire’s first-crop son Irish Flame was crowned Horse of the Year. 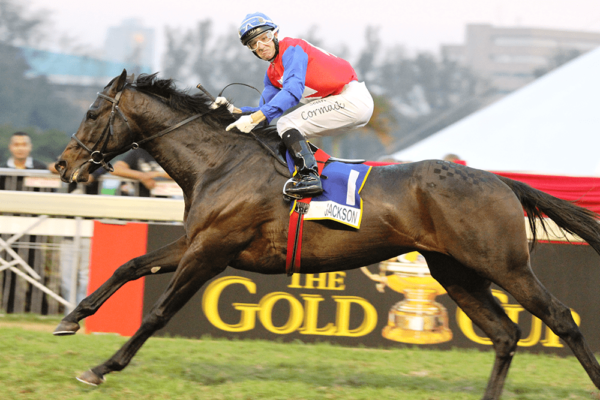 Dynasty was all the rage, and Jackson topped the sale at R1 million, ten times the sale’s average. In terms of female-line kin-breeding, Jackson’s pedigree is most interesting. His sire Dynasty is a son of Fort Wood, who hails from a sire producing family, and is making the grade as a sire of sires. Fort Wood’s third dam is one-time winning mare Portage, by War Admiral. Portage bred nine winners, including Fort Wood’s grandam Change Water, who is closely kinbred, 2×1 Iron Reward x Portage. Jackson’s dam Moonlit Prairie is by Cozzene, a champion turf horse in the US, and one-time US Champion sire. Cozzene’s fourth dam is Portage. In this pedigree Portage is the dam of one-time winning mare Blue Canoe, who is closely kinbred, 2×2 Black Wave x Portage. Blue Canoe in turn is the dam of Cozzene’s stakes winning third dam Wildwook, also closely kinbred, 3×1 Source Sucree x Blue Canoe. In this context, Source Sucree is a significant line also in Dynasty’s grandam Joy Petite, who is kinbred 2×4 Perfume x Source Sucree (both daughters of Lavendula). 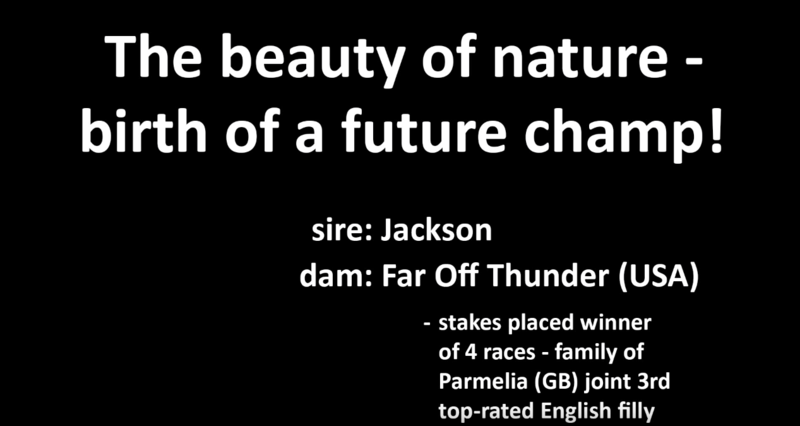 Jackson’s dam Moonlit Prairie is closely kinbred, 3x3x4 Wildwook x Secrettame x Classy Quillo. The latter pair are 2×3 in Jackson’s grandam Prairie Reign, where Secrettame is the dam of her sire Gone West, and Classy Quillo is a bottom female line ancestor whose daughter No Class (Jackson’s fourth dam) is one of the 20th century’s great blue hen broodmares. Best known of her descendants is US Champion sire Smart Strike (full brother to SA sire Strike Smartly). In kin-breeding terms, Classy Quillo is close kin to another blue hen mare, Lassie Dear, the pair evident in SA Gr1 winner Smart Banker, by Strike Smartly. 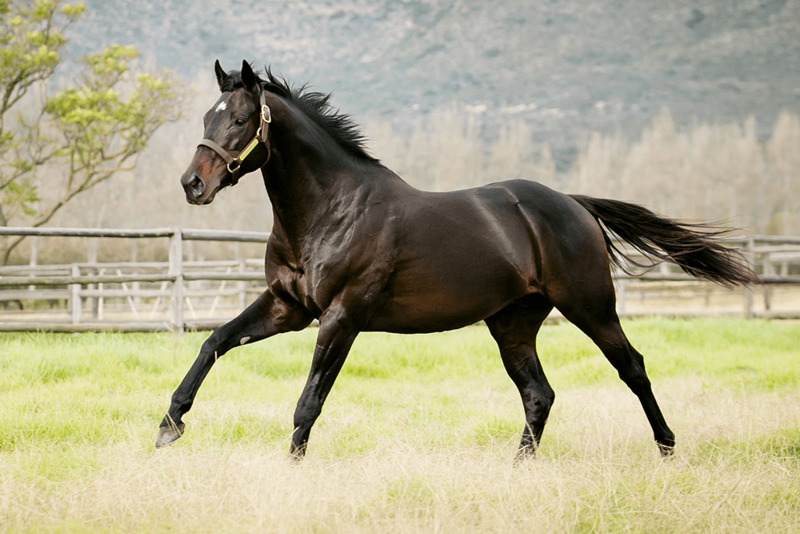 Strike Smartly has a reputation for being suitable for Fort Wood mares (four Gr1 performers, incl SA Derby winner Bouquet- Garni), although that may have had something to do with opportunity as well as affinity. While we’re at it, Jackson’s grandam Prairie Reign is close kin to SA stallion Sail From Seattle (a son of Gone West), whose dam is a half sister to Smart Strike. An outstanding sire from Fort Wood’s family is champion Dubai Millennium, by Seeking The Gold out of Colorado Dancer, a half sister to Fort Wood by Shareef Dancer. Dubai Millenium’s sire and dam are closely kinbred: Colorado Dancer is 3×2 Mrs Peterkin x Change Water, and Dubai Millennium 2x4x3 Con Game x Mrs Peterkin x Change Water. Dubai Millennium died from grass fever after just one season at stud. From 56 foals he sired twelve stakes winners, including multiple Gr1 winner & sire Dubawi (kinbred bottom female lines Portage x Miss France). Suitable lines for Jackson could include descendants from his own female line, which in South Africa has Strike Smartly, Sail From Seattle, Surging River. The female line has done well with Nijinsky, who is widespread, but notable in Dancing Champ, Lecture, Parade Leader. Dubai Millennium’s kin-breeding involved Mrs Peterkin, who also is dam of Dancing Champ (by Nijinsky). That one appears together with Lassie Dear’s son Al Mufti in Victory Moon. Lassie Dear is also in Wolfhound, A.P. Indy, Tiger Ridge, Mambo In Seattle. Also in Dubai Millennium is the mare Con Game, from his sire Seeking The Gold. This leads to Lecture and Windrush. Jackson’s double of the mare Portage leads to Kabool, Medaaly, Hobb Alwahtan, Hinton Wells, Martinelli. Portage descendant Cozzene is damsire of Pivotal, the sire of Noordhoek Flyer. Jackson’s second damsire Gone West is sire of Western Winter, whose dam Chilly Hostess is by Vice Regent. The latter has an affinity with the female line, also through his son Deputy Minister – the latter sire of Go Deputy. Danzig is sire of champion Dance Smartly. He is noted through Danehill (whose grandam is Spring Adieu) or National Assembly (Announce, whose grandam is Spring Adieu) or Camden Park (sire AP Indy is grandson of Lassie Dear, dam is by Danzig and produced highclass winner by Smart Strike). Lavendula and Source Sucree should be interesting. Hail to Reason has kin-breeding that involves them (through his sire Turn To), and he’s widespread, notably in Bold Reason, Never Bend, Halo, Roberto. In the Lavendula context, Jet Master has four lines, from Joy/ My Babu, Rollins (dam sister to Roberto), and Rakeen.